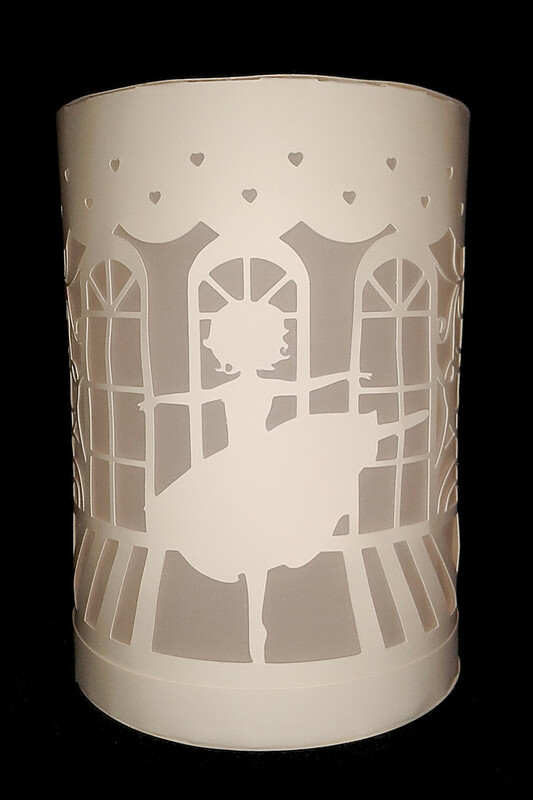 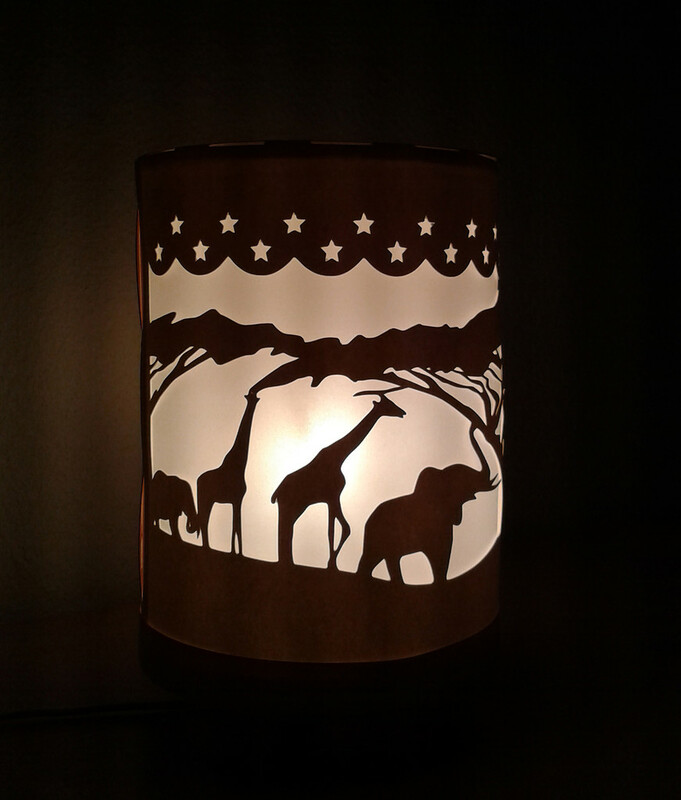 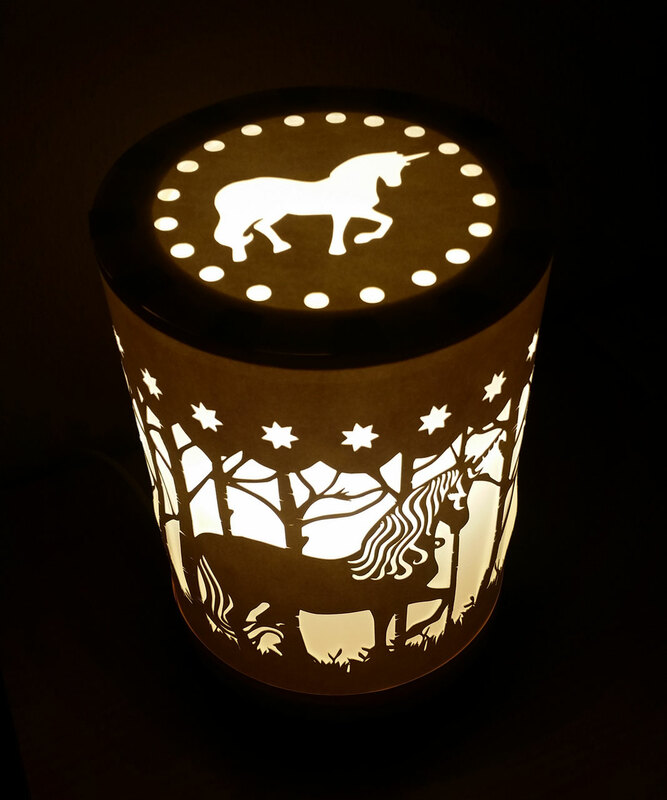 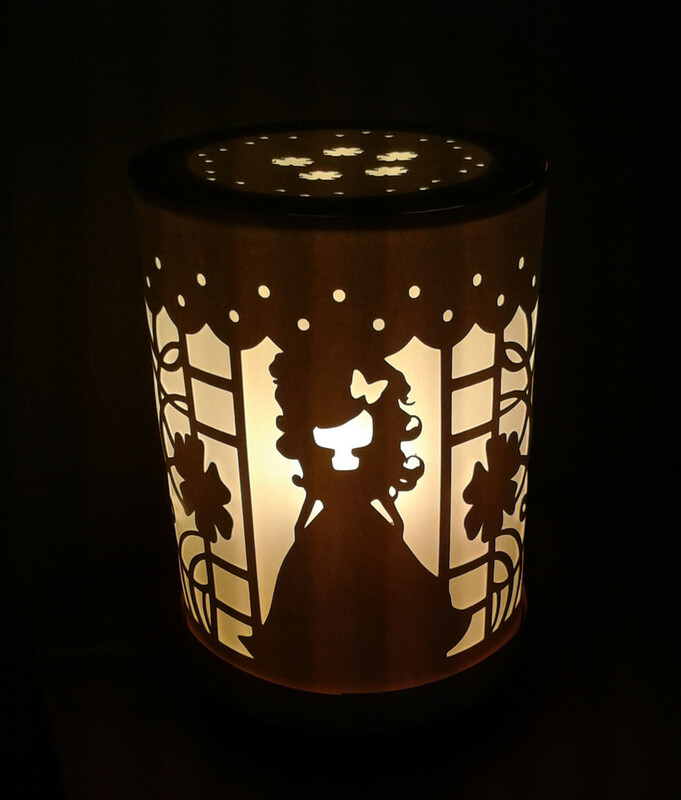 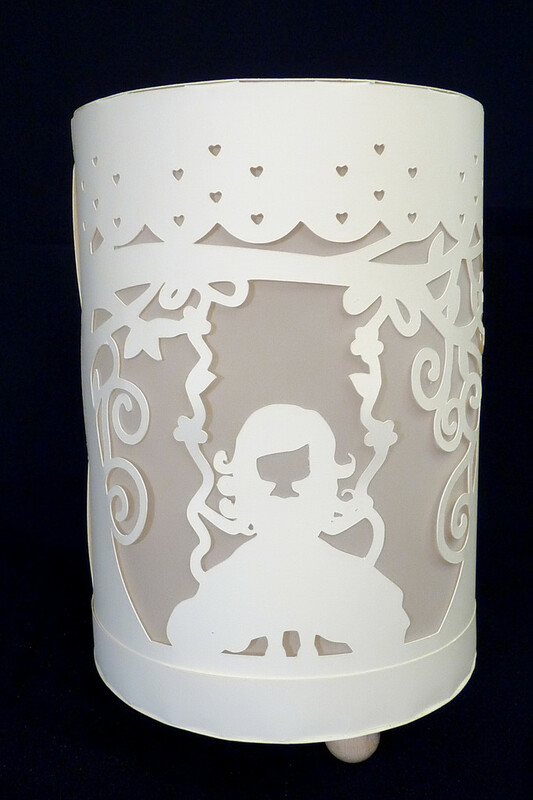 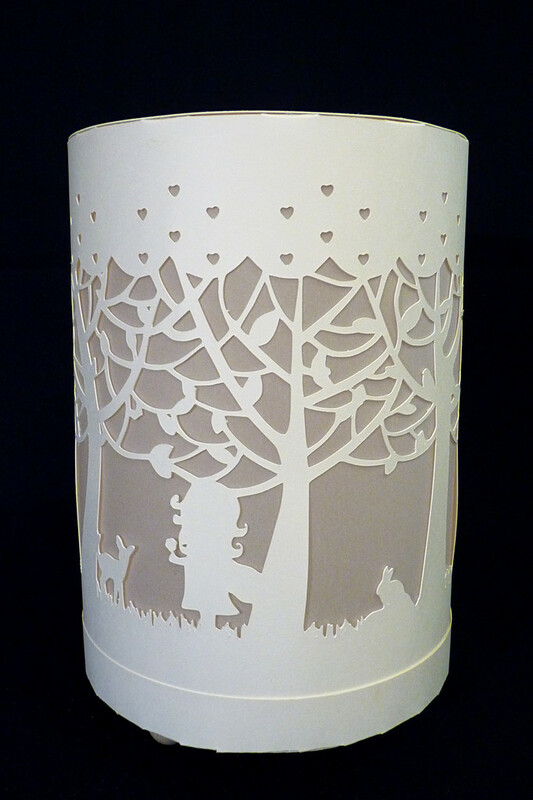 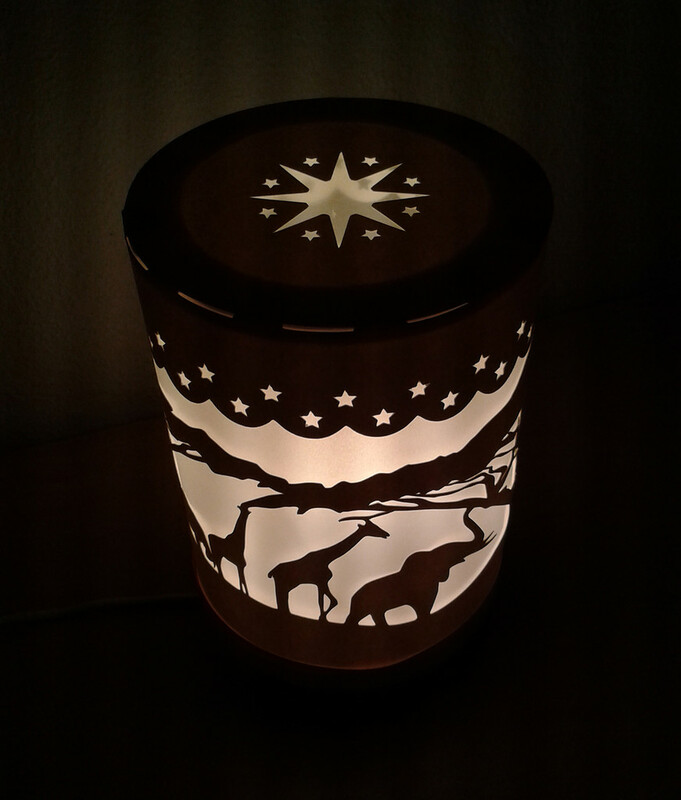 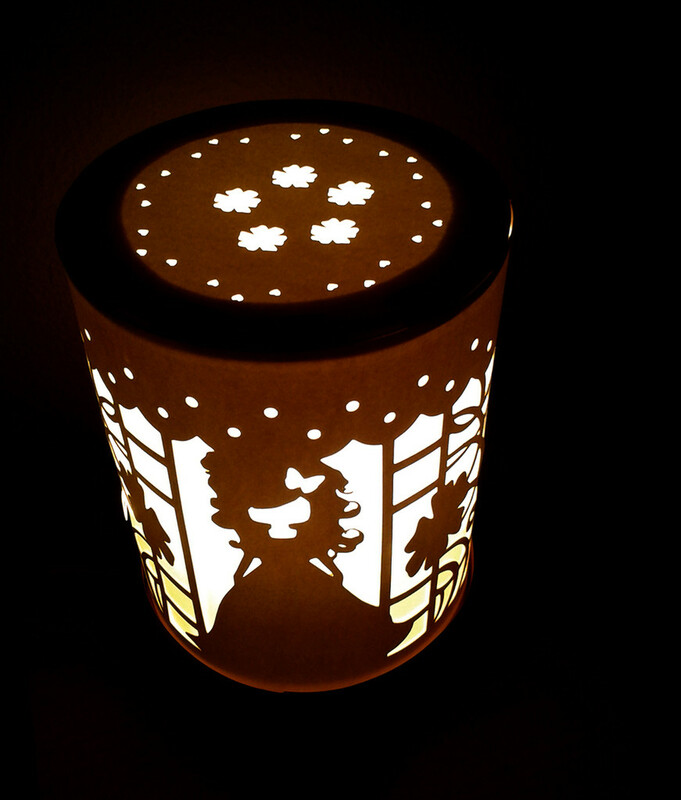 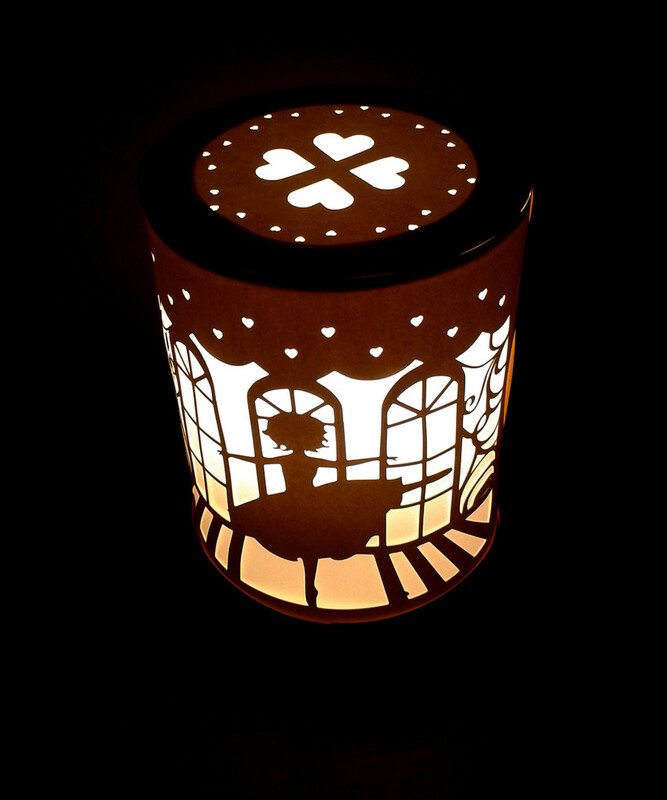 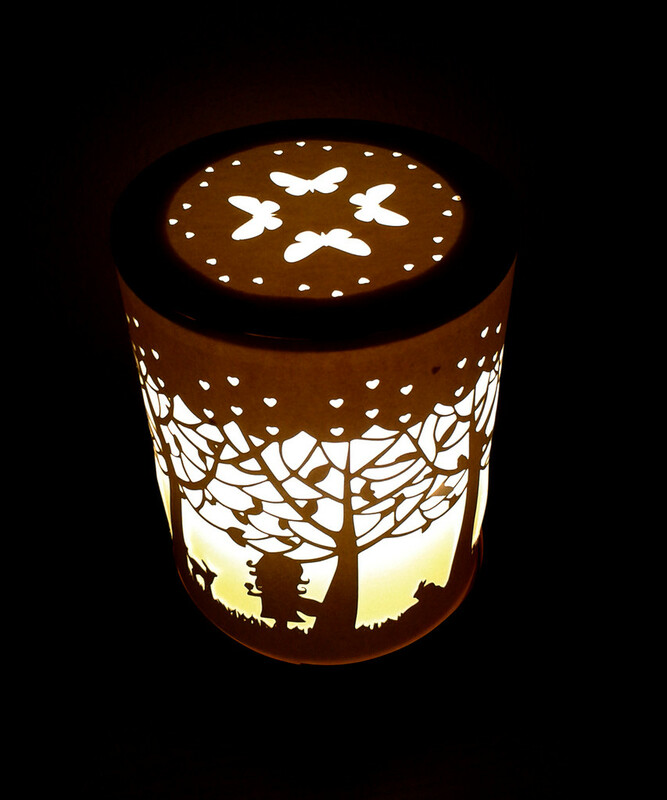 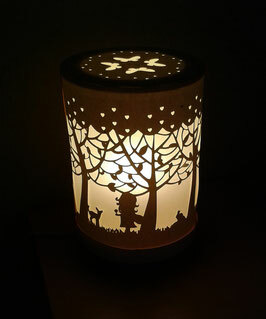 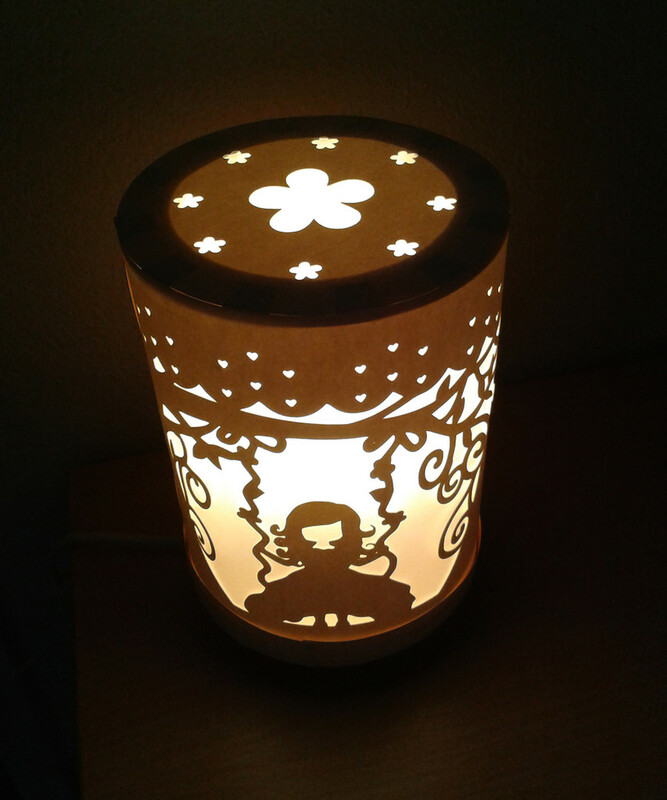 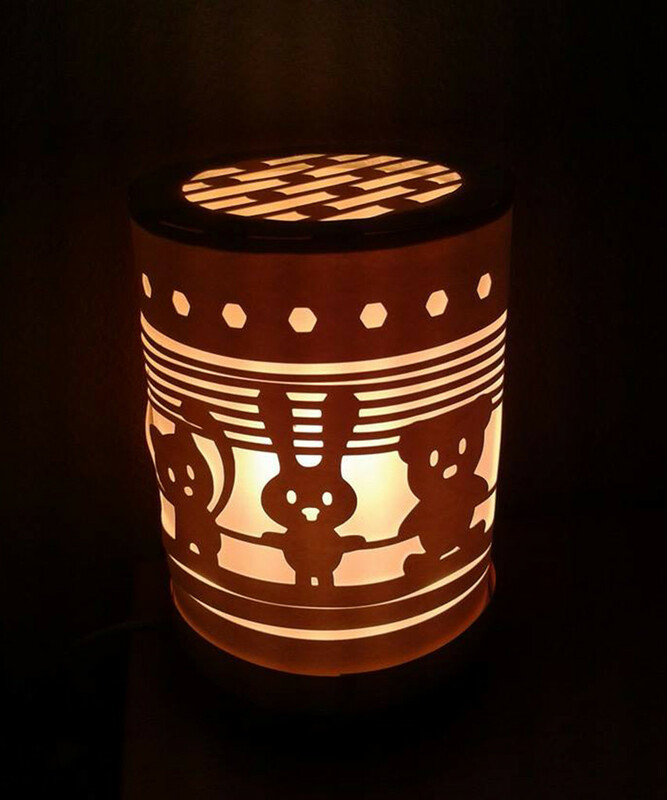 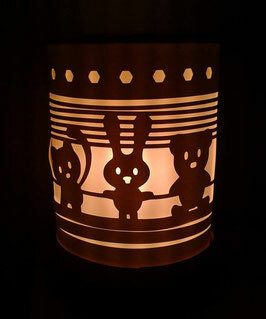 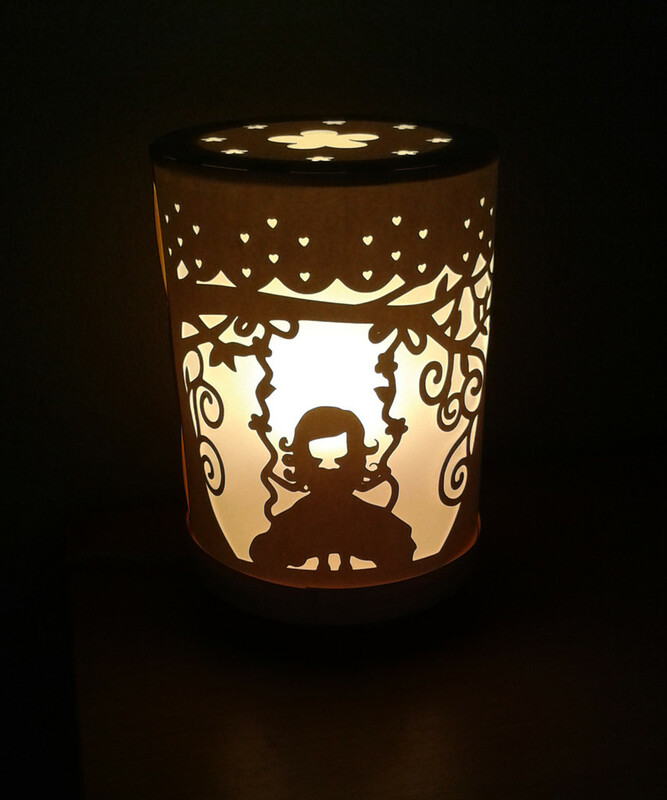 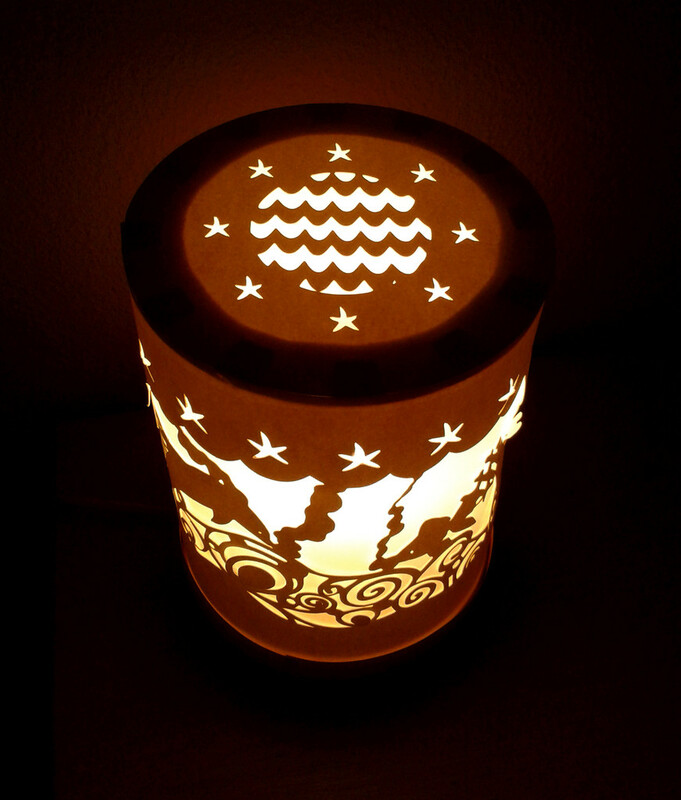 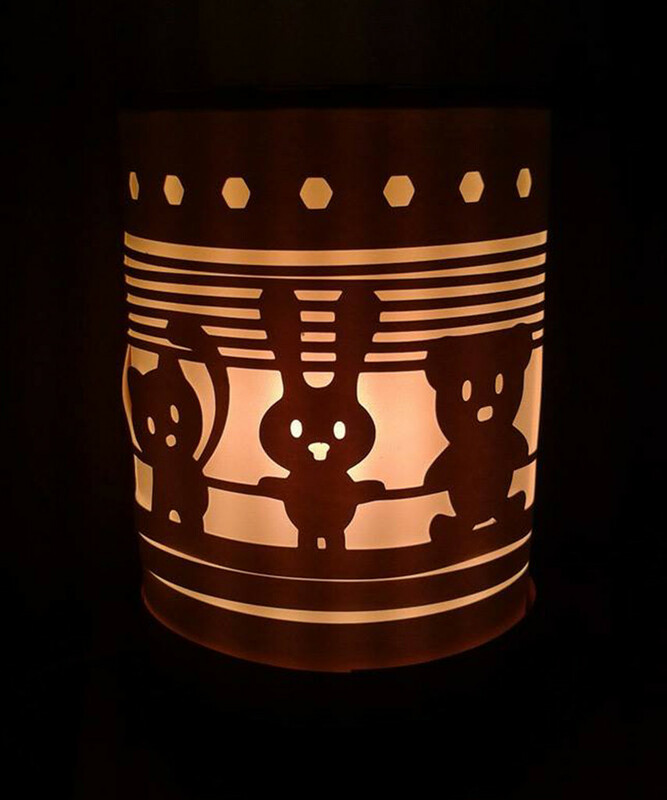 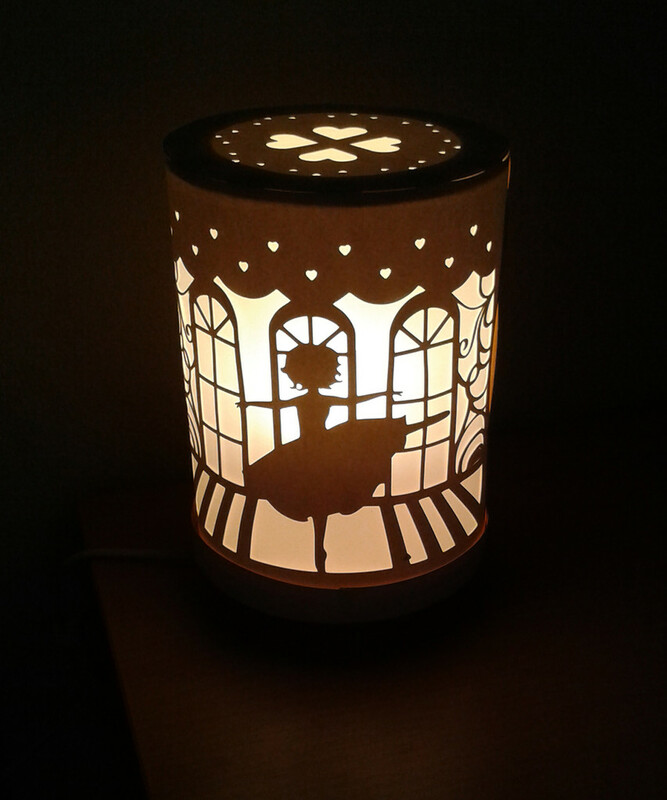 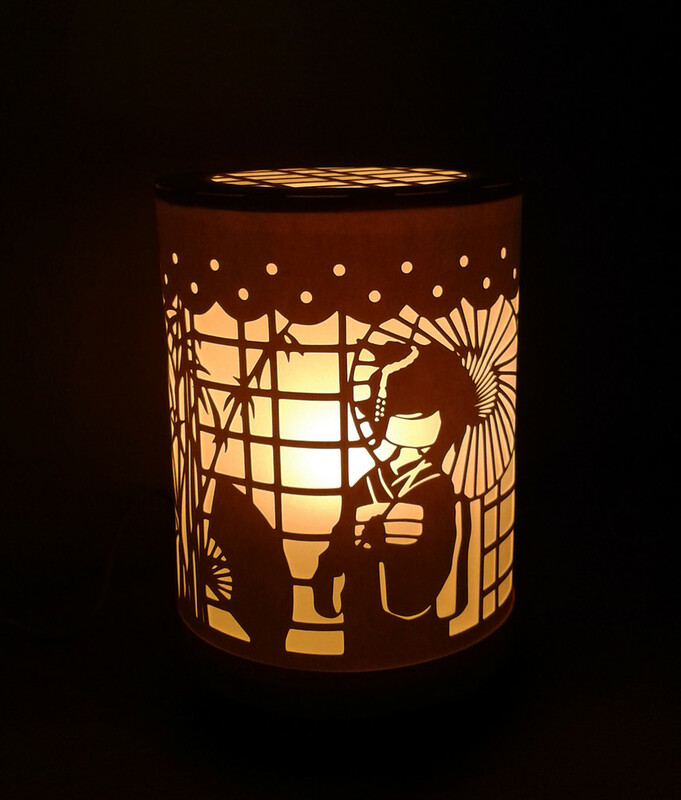 Night lamp to set on a bedside table, to enlighten beautifully your child or baby's bedroom. 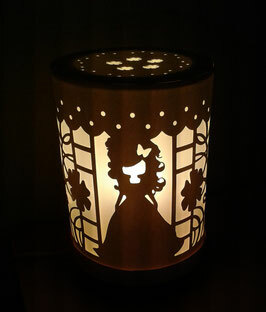 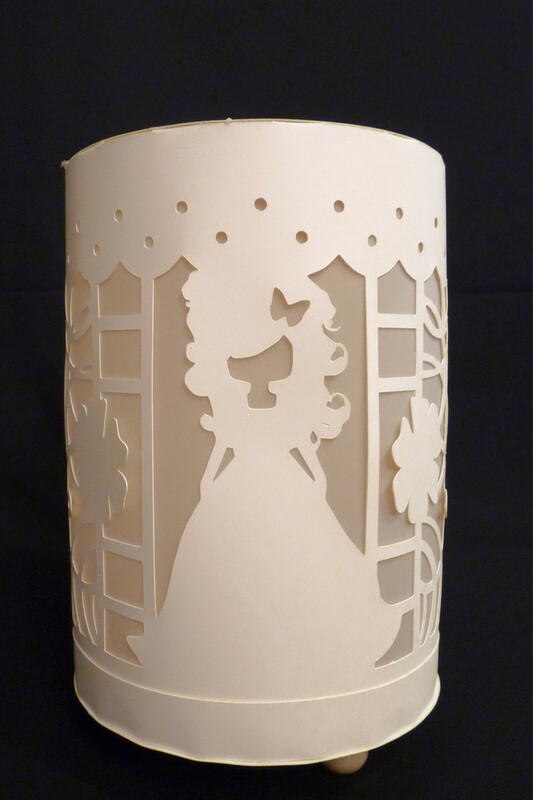 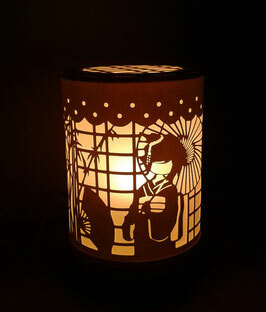 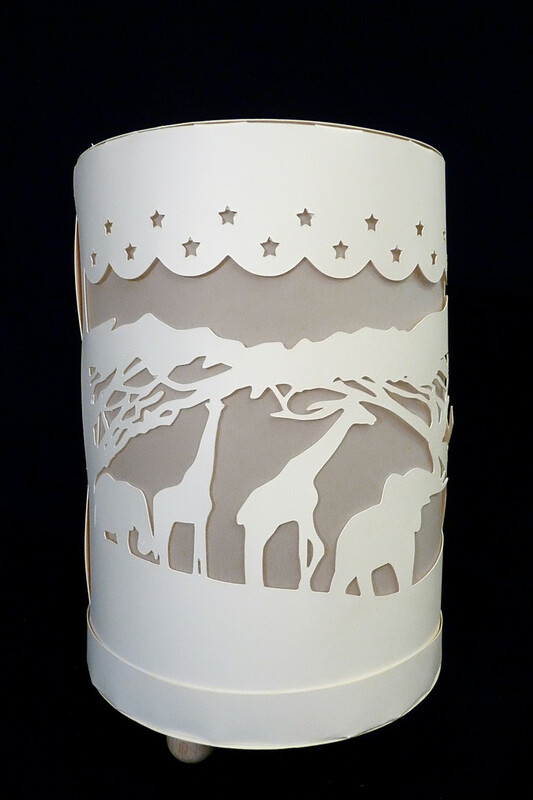 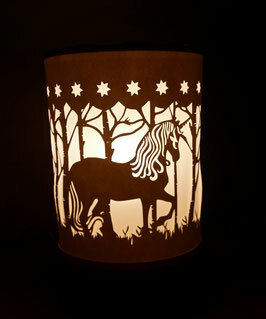 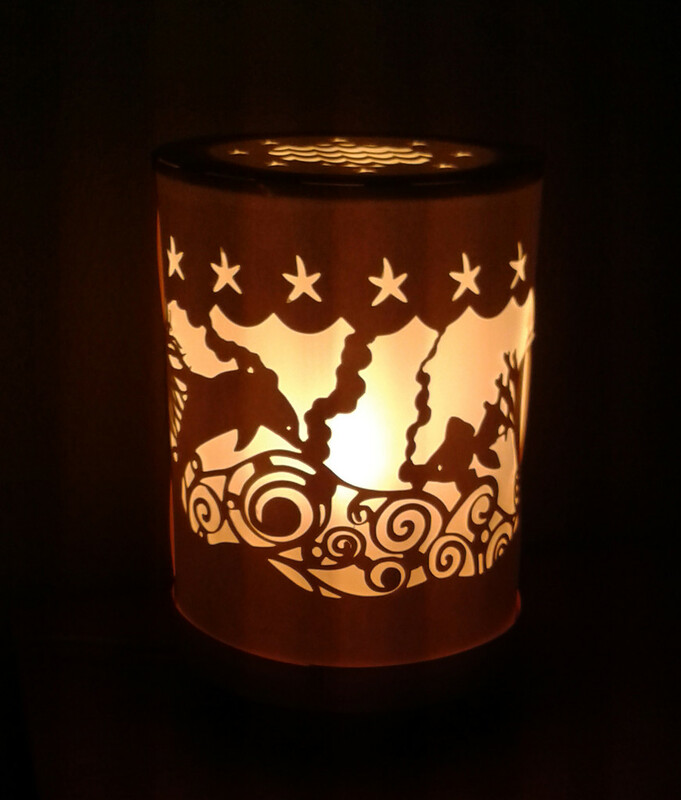 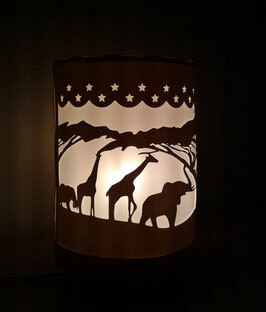 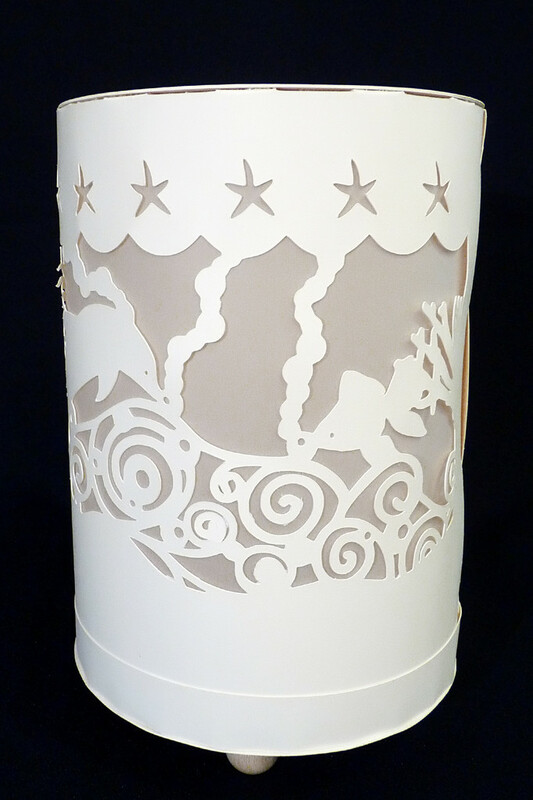 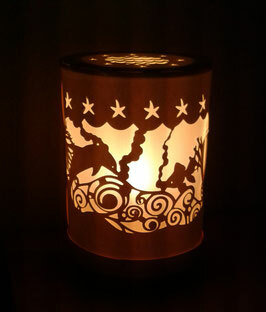 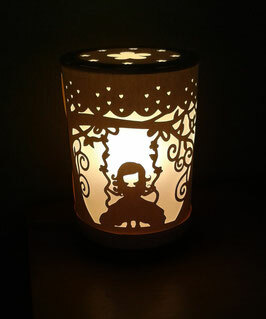 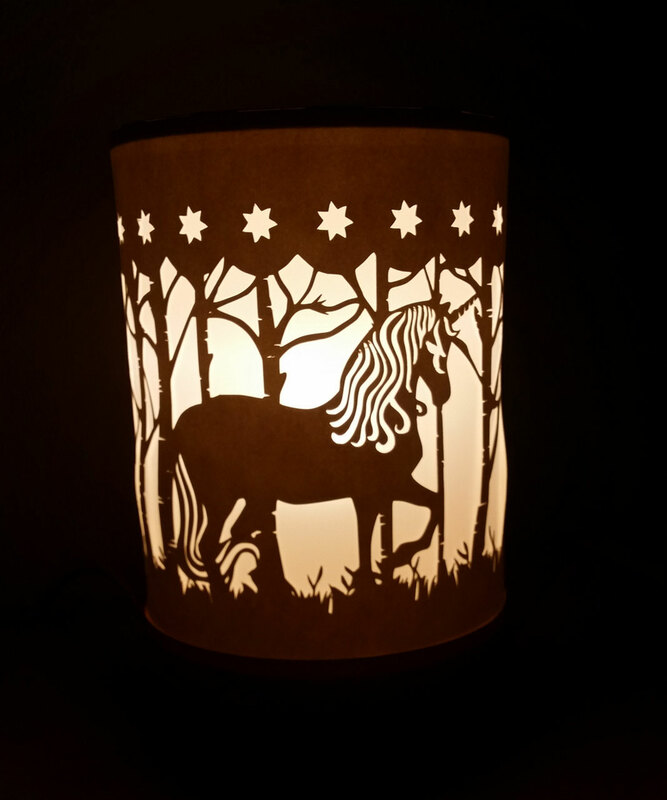 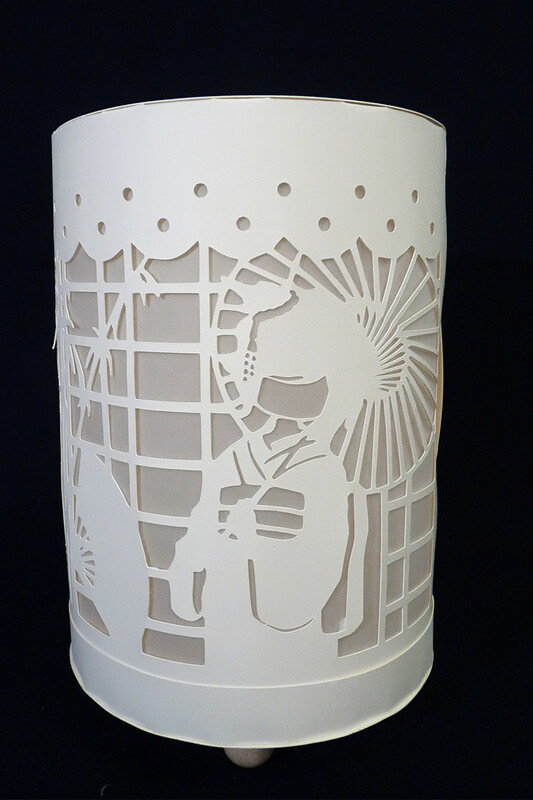 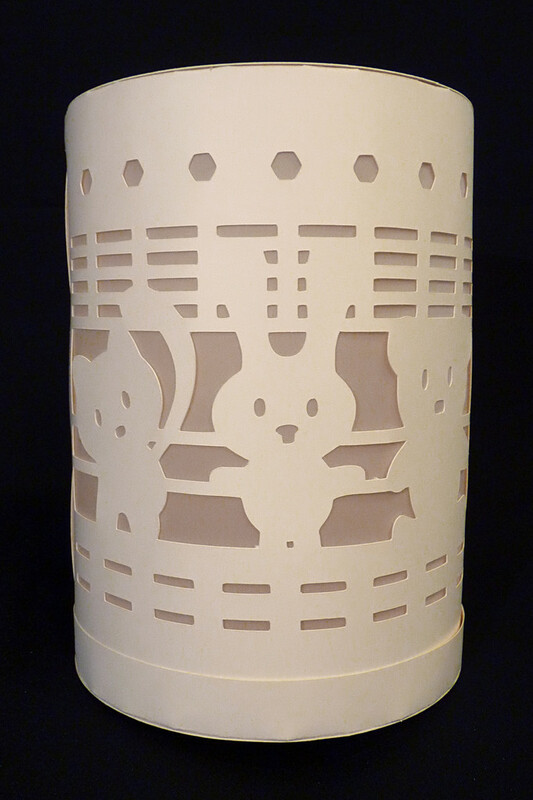 I make my lamps by hands using cutting tool on paper and tracing paper as background. 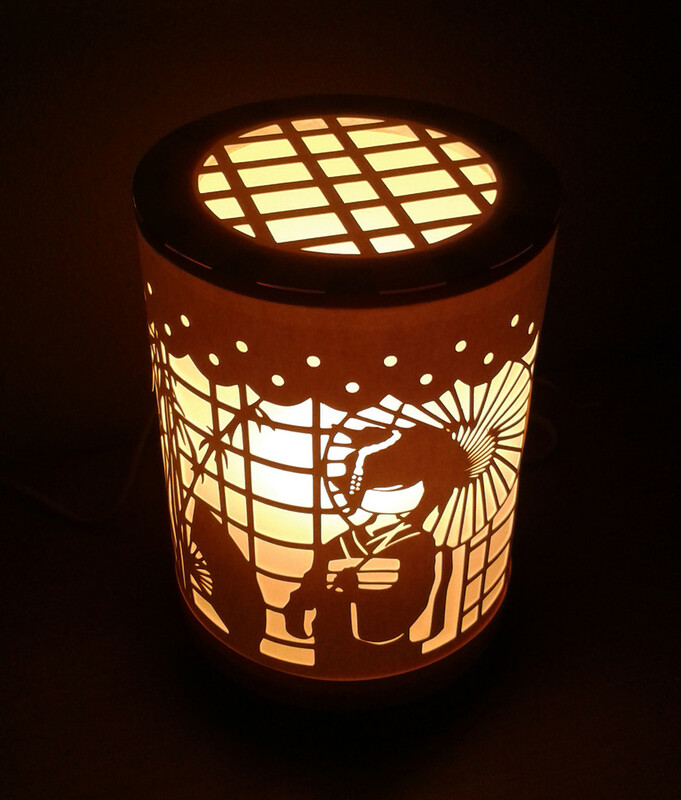 ✤ Height 22 cm, diameter 15 cm. 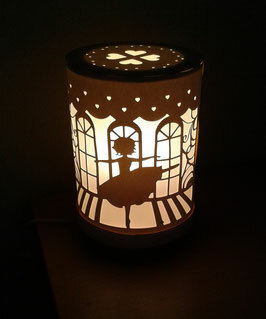 ✤ Sold with electric bulb and ready to use wire set.